where can i find the iec 61131 standards for download? 1. ANSI C37.42-1996 American National Standard Specification for High-Voltage Expulsion Type Distribution Class Fuses%2C Cutouts%2C Fuse Disconnecting Switches and Fuse Links. 2. ANSI_IEEE C67.92-1987 --- IEEE Guide For The Application Of Neutral Grounding In Electrical Utility Systems Part I-introduction. 3. ANSI_IEEE Std 432-1976 --- IEEE guide for insulation maintenance for rotating electrical machinery (5 hp to less than 10 000 hp). 4. ANSI_IEEE Std 665-1995 --- IEEE guide for generating station grounding. 5. ANSI-IEEE Std 125-1988 --- IEEE recommended practice for preparation of equipment specifications for speed-governing of hydraulic turbines intended to drive electric generators. 6. ANSI--IEEE Std 576-1989 IEEE recommended practice for installation, termination, and testing of insulated power cable as used in the petroleum and chemical industry. 7. ANSI--IEEE Std C37.97-1979 --- IEEE Guide for Protective Relay Applications to Power System Buses. 8. ANSI--IEEE Std C57.12.56-1986 --- IEEE Standard Test Procedure for Thermal Evaluation of Insulation Systems for Ventilated Dry-Type Power and Distribution Transformers. 9. IEEE Std 18-2002 --- IEEE Standard for Shunt Power Capacitors. 10. IEEE Std 80-2000 - IEEE guide for safety in AC substation grounding. 11. IEEE Std 142-2007 --- IEEE Recommended Practice for Grounding of Industrial and Commercial Power Systems. 13. IEEE Std 519-1992 --- IEEE recommended practices and requirements for harmonic control in electrical power systems. 14. IEEE Std 929-2000 --- IEEE recommended practice for utility interface of photovoltaic (PV) systems. 15. IEEE Std 937-2000 --- IEEE recommended practice for installation and maintenance of lead-acid batteries for photovoltaic. 16. IEEE Std 937-2007 --- IEEE Recommended Practice for Installation and Maintenance of Lead-Acid Batteries for Photovoltaic %28PV%29 Systems. 17. IEEE Std 943-1986 (1992) --- IEEE Guide for Aging Mechanisms and Diagnostic Procedures in Evaluating Electrical Insulation Systems. 18. IEEE Std 946-1992 --- IEEE recommended practice for the design of DC auxiliary power systems for generating stations. 19. IEEE Std 946-2005 --- IEEE recommended practice for the design of DC auxiliary power systems for generating stations. 20. IEEE Std 958-2003 --- IEEE Guide for the Application of AC Adjustable-Speed Drives on 2400 to 13 800 V Auxiliary Systems in Electric Power Generating Stations. 21. IEEE Std 1010-2006 --- IEEE Guide for Control of Hydroelectric Power Plants. 22. IEEE Std 1050-1996 --- IEEE Guide for Instrumentation and Control Grounding in Generating Stations. 23. IEEE Std 1100-1992 --- IEEE recommended practice for powering and grounding sensitive electronic equipment. 24. IEEE Std 1100 - 2005 --- IEEE Recommended Practice for Powering and Grounding Electronic Equipment. 25. IEEE Std 1120 - 2004 --- IEEE Guide for the Planning, Design, Installation, and Repair of Submarine Power Cable Systems. 26. IEEE Std 1125-1993 --- IEEE guide for moisture measurement and control in SF6 Gas-Insulated Equipment. 27. IEEE Std 1138-1994 --- IEEE Standard Construction of Composite Fiber Optic Overhead Ground Wire - OPGW - for Use on Electric Utility Power Lines. 28. IEEE Std 1142-1995 --- IEEE Guide for the Design, Testing, and Application of Moisture-Impervious, Solid Dielectric, 5-35 kV Power Cable Using Metal-Plastic Laminates. 29. IEEE Std 1143-1994 IEEE guide on shielding practice for low voltage cables. 30. IEEE Std 1159-1995 --- IEEE Recommended Practice for Monitoring Electric Power Quality. 31. IEEE Std 1159.3-2003 --- IEEE Recommended Practice for the Transfer of Power Quality Data. 32. IEEE Std 1184-2006 --- IEEE Guide for Batteries for Uninterruptible Power Supply Systems. 33. IEEE Std 1247™-2005 --- IEEE Standard for Interrupter Switches for Alternating Current, Rated Above 1000 Volts. 34. IEEE Std 1248-1998 --- IEEE guide for the commissioning of electrical systems inhydroelectric power plants. 35. IEEE Std 1248-1998 IEEE guide for the commissioning of electrical systems in hydroelectric power plants. 36. IEEE Std 1283-2004 --- IEEE Guide for Determining the Effects of High-Temperature Operation on Conductors%2C Connectors%2C and Accessories. 37. IEEE Std 1300-1996 IEEE guide for cable connections for gas-insulated substations. 38. IEEE Std 1349-2001--- IEEE Guide for the Application of Electric Motors in Class I, Division 2 Hazardous (Classified) Locations. 39. IEEE Std 1366-2003 --- IEEE Guide for Electric Power Distribution Reliability Indices. 40. IEEE Std 1366- 2001 --- IEEE guide for electric power distribution reliability indices. 41. IEEE Std 1410-2004 --- IEEE guide for improving the lightning performance of electric power overhead distribution lines. 42. IEEE Std 1513-2001--- IEEE Recommended Practice for Qualification of Concentrator. 43. IEEE Std C37-91-2000 --- IEEE guide for protective relay applications to power transformers. 44. IEEE Std C37.1-1994 --- IEEE Standard Definition, Specification, and Analysis of Systems Used for Supervisory Control, Data Acquisition, and Automatic Control. 45. IEEE Std C37.2-1991 --- IEEE standard electrical power system device function numbers. 46. IEEE Std C37.011-1994 --- IEEE Application Guide for Transient Recovery Voltage for AC High- Voltage Circuit Breakers Rated on a Symmetrical Current Basis. 47. IEEE Std C37.13-1990 (1995) --- IEEE Standard for Low-Voltage AC Power Circuit Breakers Used in Enclosures. 48. IEEE Std C37.013-1997 --- IEEE Standard for AC High-Voltage Generator Circuit Breaker Rated on a Symmetrical Current Basis. 49. 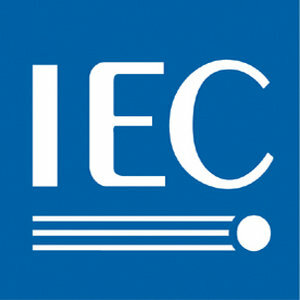 IEEE Std C37.14-1992 --- IEEE Standard for Low-Voltage DC Power Circuit Breakers Used in Enclosures. 50. IEEE Std C37.20.1-1993 --- IEEE Standard for Metal-Enclosed Low-Voltage Power Circuit Breaker Switchgear. 51. IEEE Std C37.20.2-1993 --- IEEE Standard for Metal-Clad and Station-Type Cubicle Switchgear. 52. IEEE Std C37.21™-2005 --- IEEE Standard for Control Switchboards. 53. IEEE Std C37.90™-2005 --- IEEE Standard for Relays and Relay system Associated with electric Power Apparatus. 54. IEEE Std C37.96-2000 --- IEEE Guide for AC Motor Protection. 56. IEEE Std C37.99-2000 --- IEEE guide for the protection of shunt capacitor banks. 57. IEEE Std C37.113-1999 --- IEEE guide for protective relay applications to transmission lines. 58. IEEE Std C57.12.00-1993 IEEE Standard General Requirements for Liquid-Immersed Distribution. 59. IEEE Std C57.12.01-1989 --- IEEE standard general requirements for dry-type distribution and power transformers including those. 60. IEEE Std C57.12.90-1993 --- Liquid-Immersed Distribution, Power, and Regulating Transformers and Guide for Short-Circuit Testing. 61. IEEE Std C57.12.91-1995 --- IEEE Test Code for Dry-Type Distribution and Power Transformers. 62. IEEE Std C57.92-1981 --- IEEE Guide for Loading Mineral-Oil-Immersed Power Transformers up to and Including 100 MVA with 55 C or 65 C Average Winding Rise. 63. IEEE Std C57.94-1982 --- IEEE recommended practice for installation, application, operation and maintenance of dry-type general purpose distribution and power transformers. 64. IEEE Std C57.98-1993 --- IEEE Guide for Transformer Impulse Tests. 65. IEEE Std C57.106-1991 --- IEEE guide for acceptance and maintenance of insulating oil in equipment. 66. IEEE Std C62.11™-2005 --- IEEE Standard for Metal-Oxide Surge Arresters for AC Power Circuits %28over 1 kV%29. 67. IEEE Std C62.64 TM -1997 --- IEEE Standard Specifications for Surge Protectors Used in Low-Voltage Data, Communications and Signaling. IEEE guide for the application of neutral grounding in electrical utility systems. 68. IEEE Std C62.92.1-2000 --- Part I --- introduction. 69. IEEE Std C62.92-1989 --- Part II - grounding of synchronous generator systems. Could you prepare a list with standards? Or screen copy at least. Dead link, could you re upload again please? d4ni_R wrote: Dead link, could you re upload again please? but where are another links? nam2012, I cannot combine your part with other parts from IBMAcer. d4ni_R wrote: nam2012, I cannot combine your part with other parts from IBMAcer. I cannot find IEC 62278 and IEC 60721. Could anyone help me? Please. I am searching for these ones follow. The ones I have already find (and you can download from the link above) I will put an (0k) beside. Last edited by frotico on Tue Nov 03, 2015 10:19 pm, edited 3 times in total. Links still broken. Any updates? caspercasper wrote: Links still broken. Any updates? have all the links posted until now. @fortico thank you for the dropbox folder, very usefull. Would anyone here be able to provide IEC 61131-3:2013 Programmable controllers - Part 3: Programming languages. Does any one have: IEC 60945:2002 Maritime navigation and radiocommunication equipment and systems - General requirements - Methods of testing and required test results ?